A breast cancer diagnosis can be scary and life changing for those diagnosed and for their family and friends. Many people are fortunate to have a strong support network to help with the physical and emotional demands of this disease. Others learn about their own inner strength and ability to persevere during their breast cancer journey. Either way, you are not alone. I’ve been recently diagnosed, am I a survivor? Yes. Any person who has received a breast cancer diagnosis is a survivor to us. If you or someone you love has been recently diagnosed with breast cancer, click here for more information. Co-survivors can be family members, spouses or partners, friends, health care providers or colleagues. Anyone who is there to lend support from diagnosis through treatment and beyond is considered a co-survivor. 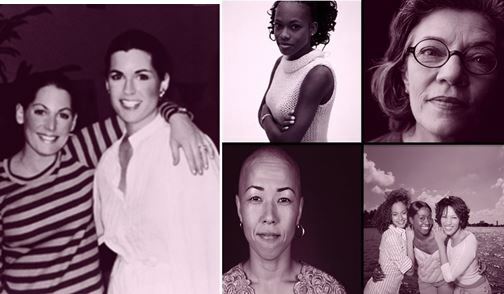 Read tips, advice, and personal co-survivor stories from others who have had a loved one diagnosed with breast cancer, click here. Susan G. Komen and Komen Charlotte work to provide survivors with the support they need to face this disease. Click here for local resources that may be helpful to you or a loved one. Also, please do not hesitate to contact Susan G. Komen’s Breast Care Helpline or Komen Charlotte for questions and more information. Komen Charlotte: 704-347-8181, or e-mail outreach@komencharlotte.org.